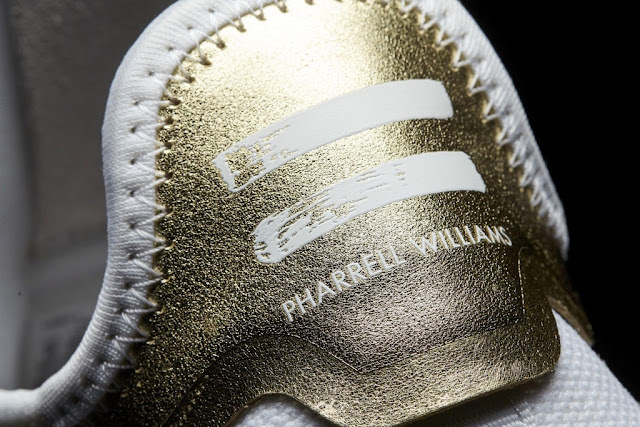 Hip hop legend, Pharrell Williams will unveil his first full-on signature shoes with Adidas this Saturday (May 6). 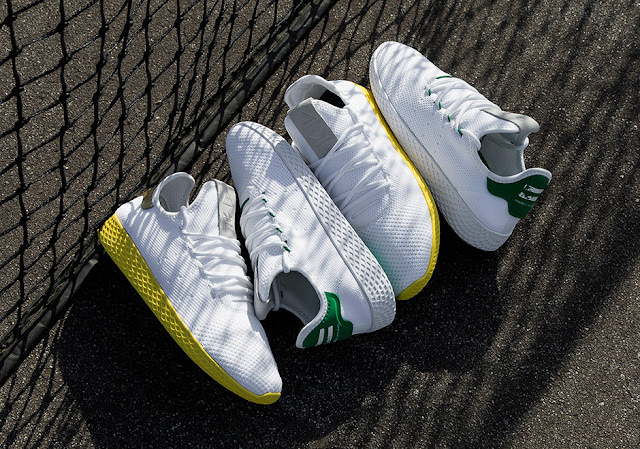 The Pharrell Adidas Tennis Hu draws inspiration from the Adidas classics such as the Stan Smiths and the Forest Hills, and will be available in White/Classic green and White/Yellow-Metallic Gold options. 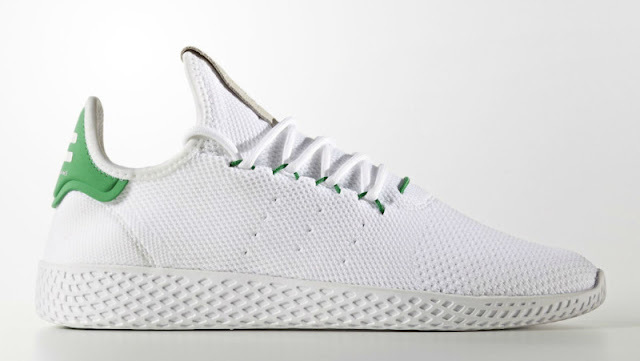 The Pharrell Adidas Tennis Hu combines a minimalist design and Pharrell's signature eclectic vibe with a comfortable slip-on ankle, side panel perforations to hint at three stripe branding and a unique pattern on the midsole.